Do what you love doing! And live Life up as long as it lasts! Another year is ending. And a new one begins in a few hours from now. Across the world people have made plans for night-long revelry and partying. Soon, as a new dawn breaks, the new year too will become predictable – and at the end of the first week, will even become routine, boring and pedestrian. We will all have returned to our daily lives, back from vacations and parties, running faster and faster on Life’s treadmill – only to discover that we are not getting anywhere. We will continue to complain: that there isn’t enough time to follow our dreams, that whatever we earn is just not enough, that we never seem to be finding true love or that our health challenges are becoming more and more unbearable. Why is it that we often feel good when we are vacationing or are at a party and never quite feel good about the biggest party of them all – Life? The answer lies in our understanding of Life. Or the lack of it! As reports about F1 racing legend Michael Schumacher suggest, it’s tragic that he finds himself where he is. Someone who defied death on the racing tracks has been felled, rather uncannily, off it. 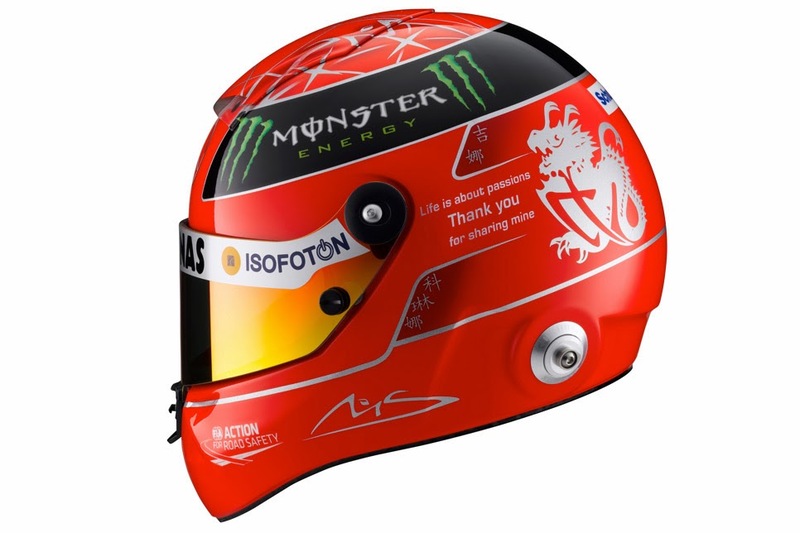 As he battles for his Life, there’s no better message for the coming year that I can think of than the one Michael always displayed on his helmet: “Life is about passions (sic!) – Thank You for sharing mine.” To be sure, Michael lived this message! He followed his passion, he followed his bliss! With each passing year, you are drawing closer to your death. The only thing constant and predictable about Life is that it will end. So, there’s as much a responsibility that each of us has, as there is opportunity, to live this Life, that we have been given, fully! And your Life could not have been lived fully if you have not followed your bliss – if you have not done what you loved doing. Many of us are so caught up with earning-a-living that we have not lived. There’s a gnawing pain within, a regret that gets only more pronounced with each passing year. Every birthday is a grim reminder that there is lesser time available. And then, when something tragic, like in Michael’s case, happens to us, we look back in regret – wondering if we could not have lived Life differently. If we could not have followed our dreams. While saying all this, I am not belittling the importance of keeping your economic engine running. Of course, each of us has a responsibility towards our families – to our parents, spouses, siblings and children. Providing for them requires reprioritization of Life’s To-Do lists and, of course, money. Therefore, I am not recommending that you focus only on yourself. I am only suggesting that let your selflessness not consume your passion, your inner joy, your bliss. So, as you enter another year, as the festivities die down, pause and reflect on your Life. Ask yourself what would you have liked to have attempted doing in Life? Work on a plan that helps you maintain a balance between what you need to keep your income stream steady and what you need to do to keep you inner joy flowing. Execute that plan in 2014. Undoubtedly, as you get started, you will struggle. You will stumble. You will fall. But keep at it. And soon, you will have learned the art of living – fully, happily! Make each moment, for the rest of your Life, memorable. “Live”them! For, you live only once! 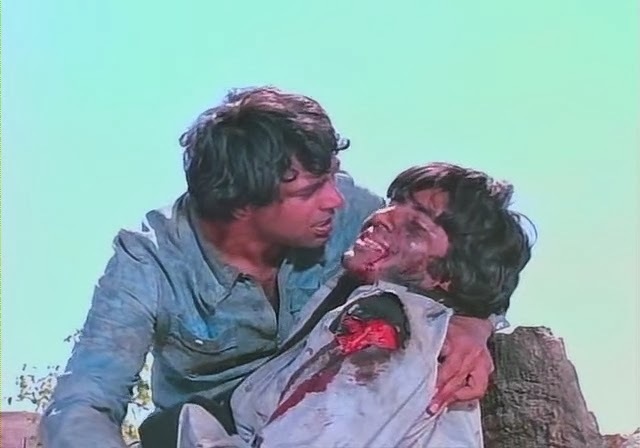 Because, ‘Zindagi Na Milegi Dobara’! Defining events as “good” or “bad” or “ugly” is a human trait. 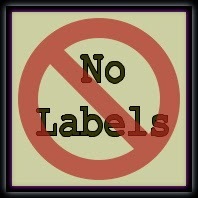 The truth is that there are only experiences in Life – irrespective of what label we stick on them! Everywhere that you turn, every social media platform, all newspapers and magazines, all over television and on FM radio – there’s so much review of 2013 as it winds down. Events and memories are being categorized as good, bad and ugly. I don’t think that’s a very productive exercise. In fact, at one level, it’s entirely pointless. Whatever has happened is over. It’s dead and gone. Why review? Why analyze? And, more important, why label what has happened? You come across a fortune. So, it is good? You get laid off, so it is bad? Someone you know dies, so it is ugly!? Life is just a continuous set of events. Or happenings. Each of them teaches us something more, something new about Life. It is up to us to learn from them. This is the essence of Life. There’s nothing ahead of or beyond this. Period. People, including my children, often ask me how can something painful – like the bankruptcy we are going through – be something that’s good? And I direct them to what the experience of being bankrupt has taught me. It has taught me Faith and Patience, it has taught me the value of money, it has showed me how kind and compassionate people are in this world, it has brought me closer to my wife and children, it has made me feel grateful for all the abundance (integrity of purpose and the powerful intent to rebuild the business and repay all our creditors) in my Life in the face of apparent scarcity (lack of money)! So, the truth is that while the events in Life may be painful, ghastly and numbing, experiencing Life through pain can teach you a lot. Provided you are open to learning from it. But how does one learn through pain? That’s, undoubtedly, a fair question. When you are socked by Life, when you are down in the dumps, when everything you held close to you has been snatched away, the last thing on your mind is to seek a learning from that experience. But in its apparent impossibility lies the opportunity. Now, you can’t do anything – in most Life-changing situations – to put things immediately back. So, the only opportunity available is to ask yourself what you can learn from the experience. When you seek to learn, you gain. And that learning makes the experience of enduring the pain worthwhile! I remember learning long back that Life is a great teacher. Because she always gives the test first and the lesson later. Each experience in Life therefore is nothing but a test. In this test, there’s no GPA (grade point average – in any case, no one bothers about your GPA once you leave school!). You neither pass nor fail in Life’s tests. You only learn. The faster you learn – and internalize – the faster you graduate to the next test and to the lesson it has to offer! 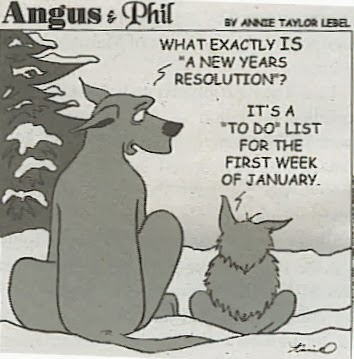 This New Year, throw out all resolutions! Choose “awareness” instead!!! Be spontaneous. Let Life happen and you flow through it, with it. This is the only secret to living a full Life! As another year winds down to an end, many on the social networks are assessing the year gone by – recording its highs and lows, basically analyzing and dissecting the past – and are also drawing up resolutions, hoping to make the coming year memorable. In my humble opinion, neither analysis nor resolution can make your year – or Life – more memorable than it will be. Resolutions indicate that you are going to restrict what happens to you to a few choices. Let’s say one of your goals is to lose weight – for which you resolve to work out daily. Now, if you cannot work out for a whole week, for whatever reason, you will feel miserable about your resolution, about yourself and your incapability to lose weight. Given your knowledge of your Life and lifestyle, a point worth considering is, why restrain yourself with a difficult choice that you are unlikely to sustain? Anything that you restrain, anything that you try to control, or resist, will bring you misery. This does not mean that you must not have a vision for yourself or that you must not set a goal. But don’t hold a gun to yourself. Don’t impose conditions. Instead, flow with Life. Choose to be in the now, to be aware. As your awareness increases, your ability to create new opportunities or seize opportunities, in the direction of your goals or vision, enhances. Let’s go back to the weight loss example. You have a resolution to spend an hour at the gym daily working out, or walking for an hour. Now, you haven’t done this all your Life. Or you have been erratic going to the gym in the past. The New Year comes and goes. You are still are struggling to hit the gym. Work pressure, travel, matters at home and social engagements continue to keep you occupied. Soon, the ghost of your resolution comes to haunt you – especially because you have already enrolled at the gym but have not showed up there ever. And so misery sets in. Instead of things being this way, consider how would it have been had you been open to each day’s schedules, allowing yourself to go with the flow, and yet creating time for physical exercise or activity. This could be at the gym or it could be a swim or a walk in the park. Whatever. The key is get your body to exercise at a convenient time slot that is in sync with your schedule. This is what going with the flow means. As you continue to exercise physically, your body too responds beautifully and within a few weeks you have fallen into a rhythm. Well, surely, you have not lost any sleep over scheduling physical activity in your daily calendar. Besides, there’s no misery. You are going with the flow of Life – aware and happy! Awareness is a beautiful tool to employ in your Life. You don’t have to do anything to activate it. Just let go of all conditions and restrictions. Don’t resolve. Don’t decide a particular way. Visualize an outcome and just flow through Life each day and make choices that are connected to your vision or goals. A principal reason why most New Year (and birthday or anniversary) resolutions fail is because they are force-fitted by you into your Life. You are making them to console yourself. You are making them under pressure and not quite out of happiness. Make sure you are happy when making any choice. If not, re-examine your choices. Find ways to tweak your choices to allow you to be happy. More happiness leads to more awareness. More awareness leads to more responsible choices. With awareness, more gets done without any misery, without any agony, spontaneously. Author AVIS ViswanathanPosted on December 28, 2013 March 14, 2016 Categories Art of Living, Awareness, Goals, http://schemas.google.com/blogger/2008/kind#post, Inner Peace, Intelligent Living, New Year Resolution1 Comment on This New Year, throw out all resolutions! Choose “awareness” instead!!! True love is when two people who are experiencing each other are totally free together! It seems so weird. People fall in love so easily, get married quickly and yet they struggle as they fall “out of” love and suffer as they go through the pain and agony of a divorce. The principal cause of all this is the flawed notion that love and marriage, or a relationship, are synonymous. A marriage is nothing but a contract. It is the personal version of a business arrangement or relationship. There is often a stated or unstated memorandum of understanding between the two people in the relationship – that subject to certain conditions being fulfilled, or met, one shall love the other. So, in some situations, as is naturally bound to happen, some of those conditions will not be met. In one case, a couple I know broke up because he has been unable to earn an income. Or in another, the spouse felt that there was no physical fulfilment in the marriage. In yet another case, one of the partners complained of betrayal owing to the other’s affair with someone else. If each of these cases is examined, a common factor is that certain agreed upon, or even unstated, parameters have not been met. But true love is when there are no conditions. When there is complete freedom and harmony between two people. The very nature of a relationship is that it is restrictive. It ends all freedom. Which is why many men and women like to talk of their marriages as having ended their freedom! Most of such comments are made in jest – yet they reflect sentiments that are representative of the loss of individual freedom of expression. So, just because two people are married or in a relationship it does not have to be that they love each other. They may just be together but may never be there for each other! A mature experience of two people is when love continues to be the bonding glue between them irrespective of the circumstances in which they find each other. Such love thrives on freedom – of thought and expression. Classification of their mutual experience, per social definitions, is just incidental. If they are married, it is just a data point. If they are living-in together, it is again a data point. If they are living away from each other, geographically separated by distance, that too is a data point. What is important is they are able to relate to each other no matter what name people may give their relationship. Examine the choice you have made with regard to companionship in your Life. Are you free in the relationship? 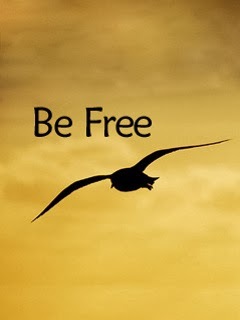 Do you allow your partner total freedom? If you do, and if you recognize that there are no conditions being imposed by either of you, then, and only then, are you blessed with true love. In the absence of freedom, any relationship is but another contract. Which, as is always true in business, will suffer the moment there is any deviation from a defined or presumed clause. 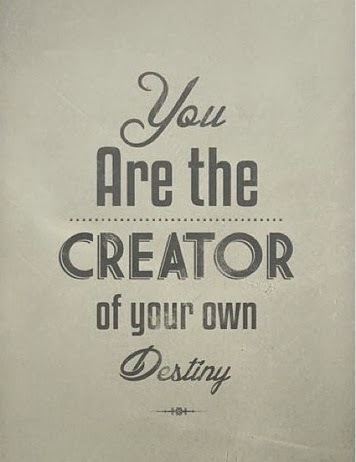 Your decisions and choices make your destiny. Always! My son and I had an interesting discussion last evening. He said that he could not get himself to accept that Life was pre-ordained. He has a point. Life is at one level very mystical, very inscrutable. At another level, if you review your Life so far, all your past actions have seeded your present. What you do today creates your future. So, if there is a destiny, surely there is a role you – through your actions, choices and decisions – play in shaping it uniquely for yourself. Even so, you can only understand this truism in retrospect. You can only, as Steve Jobs famously said, connect the dots backwards. And irrespective of where you find yourself, in whatever circumstance, whatever has happened, whatever is happening and whatever will happen to you, will only make you better, stronger and more evolved. So, in a way, this whole concept of destiny can be deemed as escapist. And yet it can be understood as inevitable. It is escapist when we try to blame our destiny for our tragic current realities. And inevitable because, whatever was to happen, alone happened irrespective of who caused it. So, instead of analyzing Life and arguing for or against pre-ordinance, the best way forward, the way to live fully, is to simply own each action and each outcome. You need not have any expectation of the outcome – as the Bhagavad Gita has said – but you can certainly own it. Essentially, Life is simple. It means do your best in any situation. And whatever be the outcome, accept it with all humility. If it’s an outcome you wanted, be grateful. And if it’s an outcome that you did not want, and one that you dislike, still go on and accept it, welcome it and embrace it. The Life that you reflect upon is what is your destiny. Many people, through scientific and other means, will tell you about your future. You don’t have to disregard them or avoid them. Listen to them. In a tough season, their perspective could have a balmy influence. In a great season, they could be reiterating what you already know. But no one can really cause you to escape your reality, your present. And it is in this present that you can experience Life. It is in the now that your decisions get taken. It is in the now that you stumble, fall, rise and conquer. It is your now, and what you do in it, or don’t do, that shapes your destiny! The F-word that we must all not avoid or feel embarrassed to confront does not have four letters. It has 7! It is FAILURE. Fear of Failure prevents us from doing things that we love doing. We have been brought up, groomed, conditioned, to believe that Failure is bad and Success is good. And Failure is dubbed as coming last in class, not having enough money, losing in love or not being famous. Truth however is that Failure is inevitable. Not every effort will produce the result we expect. And yet we must plough on. Living each moment in full. Not be swayed by joy or depressed by sorrow! 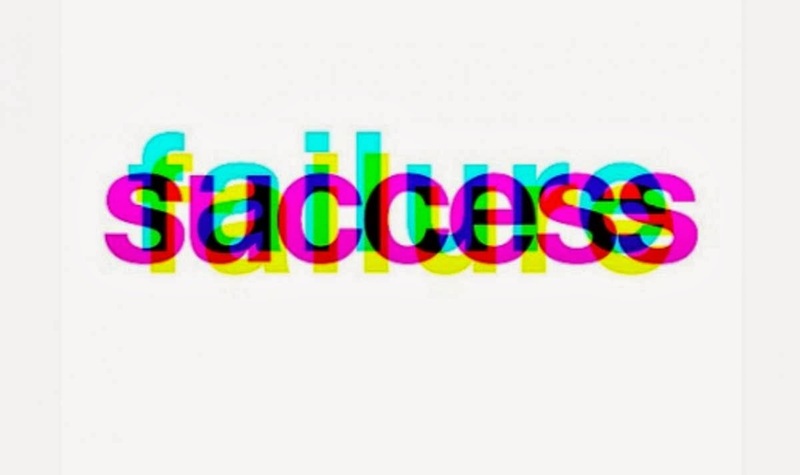 Because, even what we call Success, will, at times, fail us. Here’s a short story that illustrates the point. The Sumeru mountain, accepted in Hinduism, Buddhism and Jainism, is believed to exist in heaven. The significance of the mountain is that any great emperor who has conquered the whole world, when he dies, signs his name on the Sumeru mountain for his incredible achievements. One great Emperor, after his death, reached the gates of heaven, with his wives, who had also given up their lives on his pyre, as was the custom in those days. At the gate, the gatekeeper obstructed his wives from entering in order to accompany the King to sign his name. The King felt that the gatekeeper would know better and hence went alone to sign on the Sumeru. To his amazement, contrary to his belief that he was one among the few to sign on the Sumeru, the king found thousands of signatures on it, with hardly any space to fit his own signature. He immediately felt grateful towards the gatekeeper – for if his wives had seen what he was seeing just now, they would have lost all interest in him. For he was now not a great emperor but just another ‘also ran’! “That is most likely to happen, but it’s up to you!” said the gatekeeper. This is the inevitable Failure of Success! So, let us not chase Success and abhor Failure. Let us appreciate and understand that even Success fails us when we reach the metaphorical Sumeru. Live each moment, learning from it – even if you fail at achieving what you wanted to. That learning – from trying, falling and failing – is more valuable than grieving the inability to achieve a goal or gloating over at having got it!